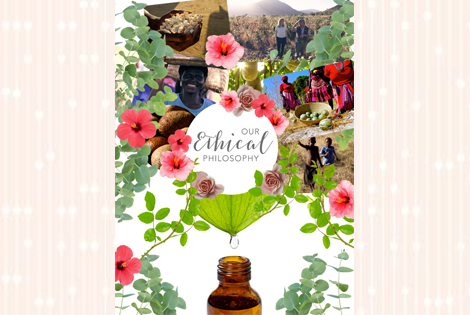 We have a strong ethical pulse within Aurelia Probiotic Skincare and this is reflected not only through our sourcing practices but in everything we do. We are delighted to premiere our latest film celebrating our ethical principles and our strict ingredients policy. We are proud to support and be endorsed by Naturewatch Foundation, which leaves you safe in the knowledge that none of our products have or will ever be tested on animals. Naturewatch Foundation excels in their standards by taking in to consideration the parent companies of brands. Aurelia Probiotic Skincare prides itself on only using the best ingredients we use in our products and the reasons why we avoid certain commonly used ingredients. We partner with PhyoTrade Africa when sourcing our nourishing botanicals such as Baobab, Mongongo oil and Kigelia Africana. Phytotrade adheres to the highest standards of fairtrade, supports the communities who gather the raw ingredients and advocates sustainable harvesting and growth. Watch our new film now to find out more and hear from Aurelia Probiotic Skincare’s training and brand manager Antonia! Aurelia Probiotic Skincare continually seeks scientific excellence by pushing the boundaries of skincare. We are passionate about providing women with revolutionary, next generation probiotic technology combined with ethically-sourced 100% BioOrganic botanical formulations. Our scientifically proven, evidence based skincare works by helping to manage the level of inflammation within the skin, the main cause of skin ageing. It does this by moderating molecules called cytokines which mediate our body's natural immune response. Aurelia Probiotic Skincare protects against skin ageing, regenerates cell metabolism, prevents cellular DNA damage, boosts hyaluronic acid by nineteen times and increases collagen synthesis by 140% leaving you with glowing radiant skin. Aurelia Probiotic Skincare prides itself on its beautiful mix of science and natural luxury.